Journal Impact Factor and other bibliometrics have been a key part of how editors, authors, researchers and publishers evaluate journals for many decades. While they remain central, they have been joined over the last few years by article- and author-level bibliometrics, and most recently by a new development: altmetrics. Short for "alternative metrics," these article-level metrics go beyond traditional citation-based indicators. They integrate data on web content consumption such as HTML page views, PDF downloads and social usage such as tweets and Facebook comments to give a broader picture of the impact of scholarly content. Altmetrics is a movement that Elsevier is fully engaged with. 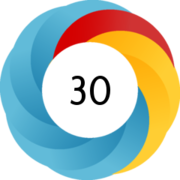 Last year, Scopus launched Altmetric.com for Scopus to track mentions of papers across social media sites, science blogs, media outlets and reference managers. 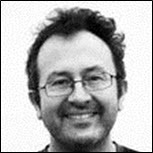 But why is it important for your journal? What are the correlations between traditional bibliometrics vs. article altmetrics? What do you need to know when following, comparing and consuming the value of altmetrics in your field? And does it really strengthen the impact of your journal or is it a trendy fad? At this webinar, participants will have the chance to take part in a live discuss and debate on this topic. Questions can be pre-submitted during the registration process and there will also be a live Q&A during the webinar. 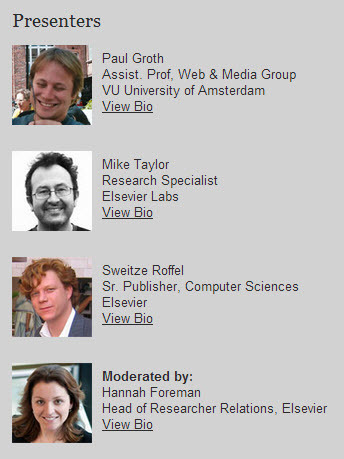 Elsevier is offering two live webinars that were developed in response to feedback from journal editors. The first, on publishing ethics, is on Tuesday. 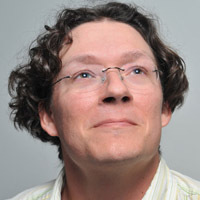 The next, on bibliometrics and altmetrics, is on Tuesday, June 11. [divider] The following webinar took place on May 28. You can view the recording here. 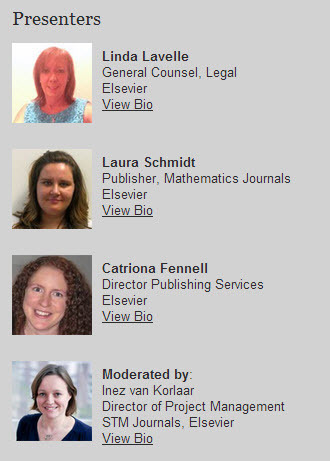 This webinar touches on Elsevier’s publishing ethics program for editors, including advice on interpreting CrossCheckreports and the chance to pose questions to Elsevier General Counsel Linda Lavelle. Questions can be pre-submitted during the registration process, and there will also be a live Q&A during the webinar.